A spin on Mexican street corn, this Indian-inspired version is topped with a curried yogurt sauce. 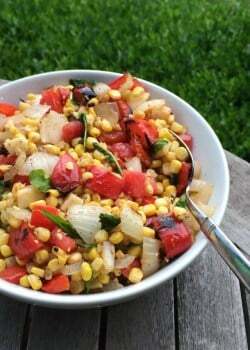 Try Indian Street Corn at your next barbecue! Grilled corn is the best though, IMO. 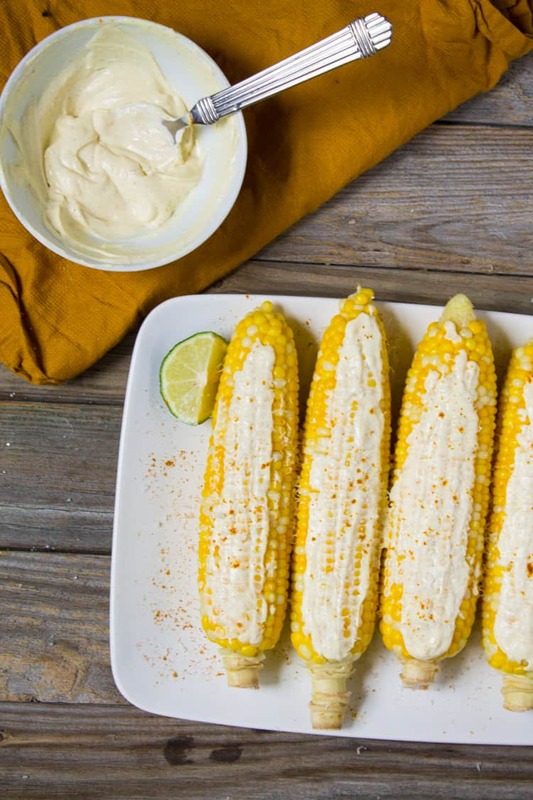 Especially Mexican street corn, which is grilled corn with some combo of sour cream, lime, chili powder, and cojita cheese. I remember the first time Steve and I had our (now) favorite street corn was at this spanish tapas restaurant in Boston called Toro (which also happens to be one of our all-time favorite restaurants in the city); it was as if time had stopped and there was no one else in the restaurant besides me, Steve, and el corn. We can’t even talk to each other when this corn comes out from the kitchen as if it’s some sacred moment that shall not be disturbed. Steve always asks me why we don’t try to make Mexican street corn at home but until we have a grill, it’s a mute point. I recently had this craving to make curried corn and as I started dreaming about Mexican street corn, I thought why don’t I try to do both! 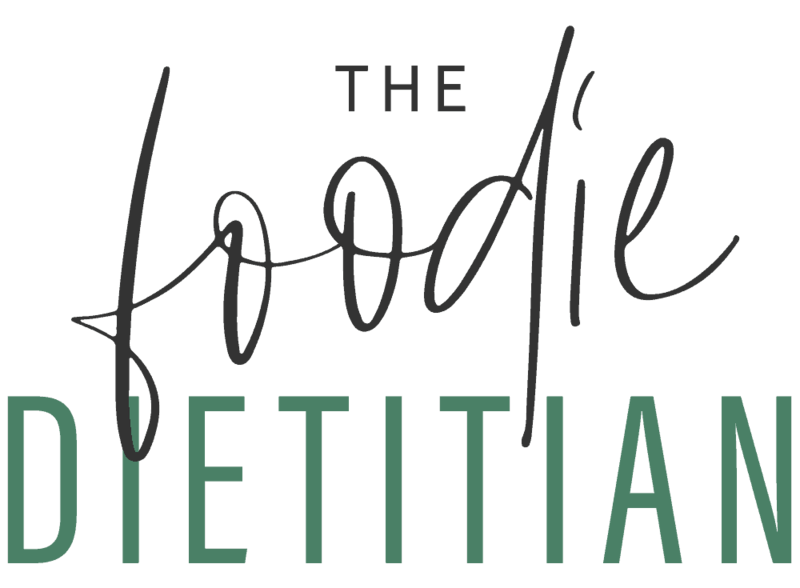 So I whipped up some curried yogurt, slathered it on top of the sweet corn and finished it off with some lime and cojita cheese. 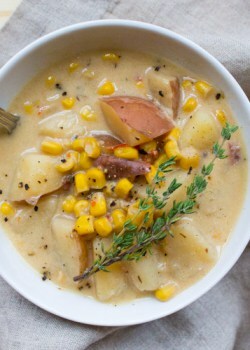 If you have a grill, I would say definitely get your ears of corn on it for this recipe. However if you’re sans-grill like moi, they’re still perfectly tasty boiled. Pair these with your barbecue favorites at your next summer party – they’re sure to be a hit! In a large pot of salted boiling water, add corn and cook for 5-7 minutes, until desired texture (cook longer for softer corn). Remove corn from pot and let cool for a few minutes. Meanwhile, in a small bowl, mix together yogurt, curry powder, lime juice, and salt. Spread yogurt mixture over the ears of corn. Sprinkle cojita cheese on top. Optional: Serve with lime wedges and garnish with an extra sprinkle of curry powder over top. You can also grill the ears of corn instead of boiling them. In fact, this would be the preferred cooking method, only I don’t have a grill! 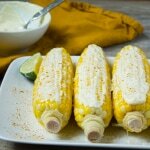 Tell me, have you ever tried Mexican street corn? 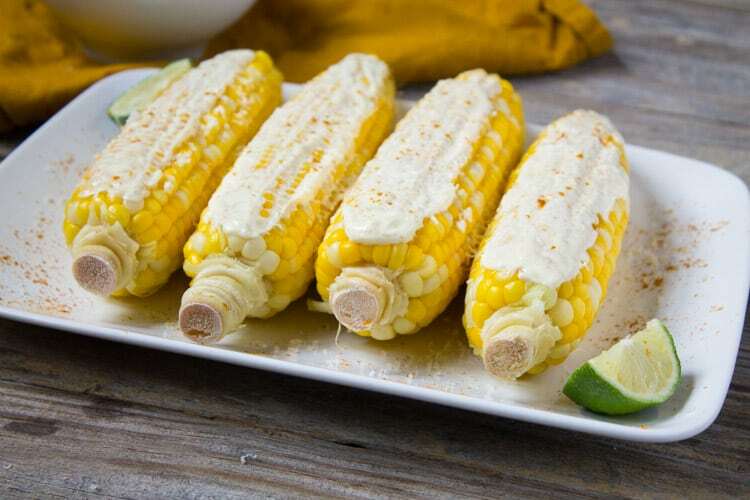 How do you like to eat corn on the cob?